French government has said it will extend support to Lagos State government in its mega city agenda through the commitment of €200 million (83.7 billion) to set up an efficient public transportation system in the state. Speaking at France-Nigeria Business Forum held in Lagos as part of President Emmanuel Macron’s visit to Nigeria, Delphine Geny-Stephann, France’s secretary of state to the ministry of economy and finance, said that the building of sustainable cities remain a major challenge in many cities across Africa of which Lagos is one. “Lagos happened to be one the most populated city on the continent and embodies the challenges, the difficulties but also the huge opportunities of African cities. €200 million will soon come to help setting up an efficient public transportation system in Lagos. But this will not be enough, so we need the help of the private sector, and our companies are ready to offer their help and expertise.” Geny-Stephann said that the relationship between France and Nigeria are nowhere near what it should be, given the importance of Nigeria as an emerging power. “The variations in the price of oil are not a sufficient explanation. Sure, French investments in Nigeria have developed. But for 80 percent of them, they only come from the extracting sector. We have to address this challenge together, both in France and Nigeria. There is something else we have to admit which is a distorted image of one another. In France, Nigeria is too quickly associated with violence, corruption and seen as a place where business is difficult. This is not an accurate vision. Also some people say that France is all about red-tape and that the French economy belongs in the past. She disclosed that the French people have elected a President who has encouraged young French people to become entrepreneurs and promote entrepreneurship throughout his campaign. “We are fast changing our economic model to make it easier for all to do business. This is what France looks like now. On agriculture, the potential is huge and French companies will support Nigeria in developing the sector as our agriculture and our food-processing industry rank amongst the best and most efficient in Europe. “On renewable energies, we are going to offer a better access to electricity. On technologies, the French Tech is fast asserting itself as a European leader, and France is about to win its bet to become a “start-up nation”. 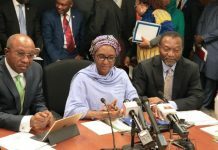 On her part, Yewande Sadiku, executive secretary and CEO, Nigerian Investment Promotion Commission, said that the Nigerian government has launched the economic recovery growth plan, which is expected to lead to the growth of the nation’s economy and it will be a great pleasure to have France support in actualization of this project. 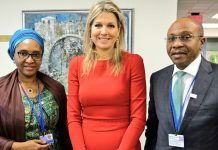 “Nigeria remains a good destination for investment in Africa and we are improving the business environment on a daily basis and going to ensure that France investment in Nigeria is win-win affair,” she said.